The Ramblas in Barcelona features a very unique building: the Casa Bruno Cuadros. In the year 1883, architect Josep Vilaseca took charge of the renovation of the building and of the umbrella shop on its ground floor. It was designed with an orientalist style, with Chinese and Egyptian references closely related to Modernisme because of its colouring and the delicacy of its forms. 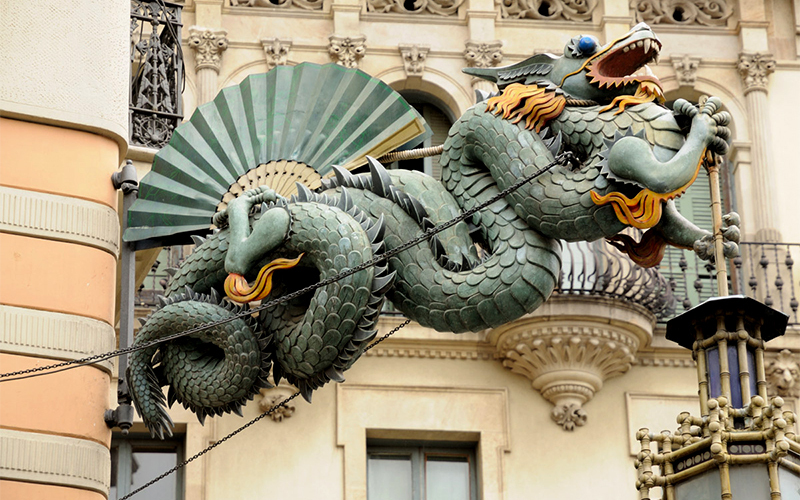 The wrought iron Chinese dragon that projects out from the façade and the floral elements composed of umbrellas serve as a singular advertisement for the ground-floor shop.